Tang Lung Street was known for its green tea and whisky guzzling karaoke bars long before the construction of Midtown. The new building brought with it a wave of gentrification that turned grungy dai pai dongs into ramen joints. 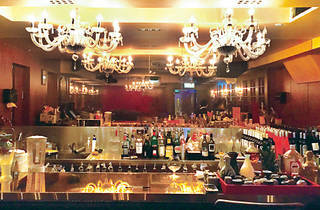 With it, the bars have also upgraded themselves to catch up with the more upscale clientele. Located on the 19th floor of Circle Tower, the striking door front of Qi Zhong Tian, with its studded surface and brass handles, resembles an ancient Chinese ‘yamen’ or a Mandarin’s office in ancient China. In combination with its name, meaning ‘seventh heaven’, we have high hopes that the establishment has put significant effort into retaining a concept inside. When we enter, lotus-themed ceiling plaster continues the ancient Chinese theme, but the chandeliers, a gramophone and a vintage microphone seem to indicate a more recent part of Chinese history. The menu doesn’t reflect anything to do with ancient dynasties either, and offers up a run-of-the-mill selection of wine, beer and whisky. We discover that the Qi Zhong Tian signature ($98) turns out to be seven different cocktails named after colours representing an assortment of flavours. We plump for the red, which is a strawberry daiquiri. The consistency is smooth, but the only thing fresh in the glass is a sprig of mint and it could do with some real berries. Green turns out to be a fizzy mint cocktail that is basically mint liqueur with soda; if there are other ingredients they aren’t discernible. 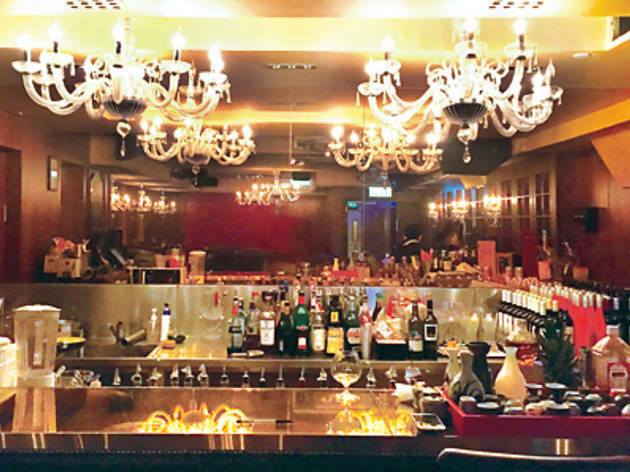 Qi Zhong Tian 19/F, Circle Twr, 28 Tang Lung St, Causeway Bay, 3998 3153.